There are many ways to get creative with TTV! Some photographers are true die-hard TTV’ers and do very little editing. While there are others who edit a lot and even “fake” the TTV process. On this blog I’ll share images that I’ve taken it into Photoshop and have made a TTV image. With this image, the “flying swings” was taken with my digital camera. I also had acquired a different box camera and had made an overlay image in Photoshop to “fake TTV images” and give my image a different look from my other TTV images. So changes made to my image: converted to B/W, added sepia, and added my TTV overlay. 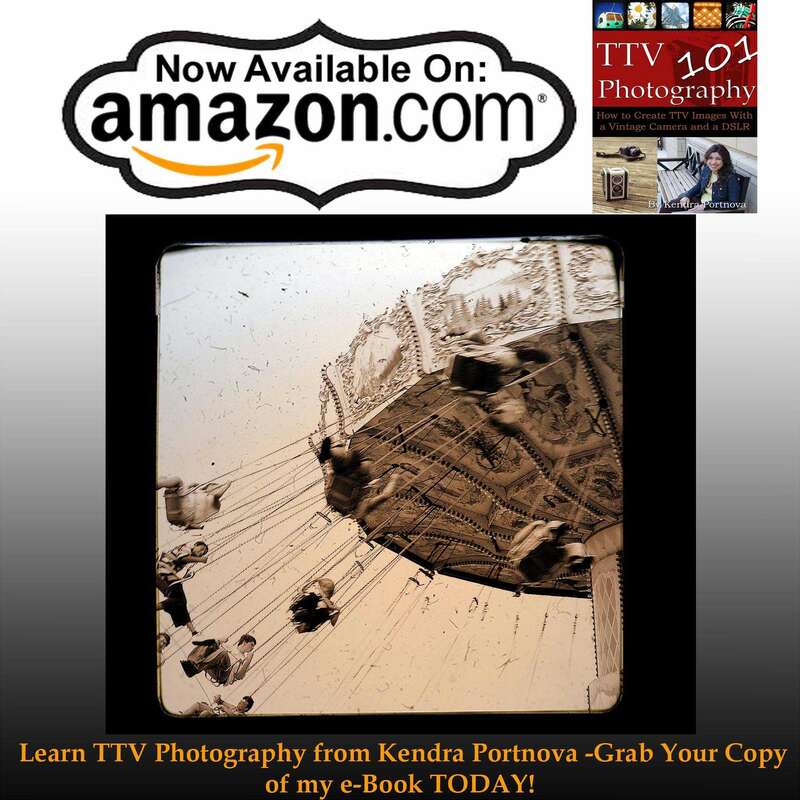 You can find this process in my TTV e-BOOK … it’s the BONUS FEATURE!